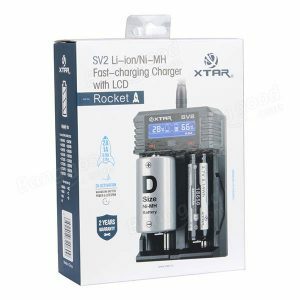 Xtar’s SV2 Rocket; the first Li-ion&Ni-MH charger with the unprecedented charging speed. It only takes 1.5 hours to fully charge 2 pics 2500mAh. It also provides the smallest charge current to maximize battery life. 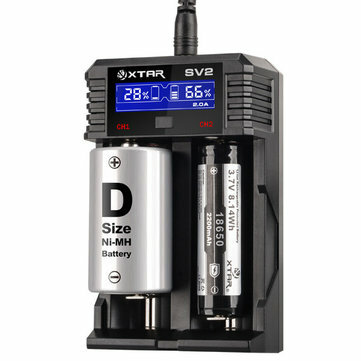 Equipped with an innovative LCD screen and slots can fit all kinds of batteries including 10440-32650 or AAAA-D size.